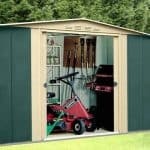 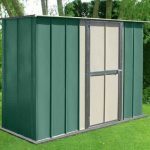 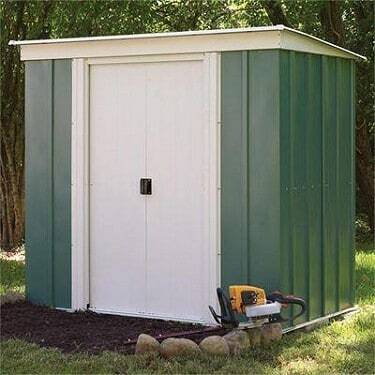 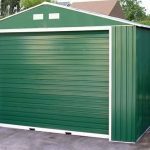 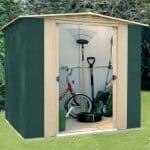 This popular metal shed is large enough for plenty of garden storage such as equipment, furniture and garden toys and has a sliding door which double locks for extra security. 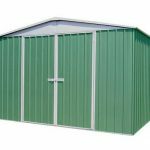 It is an attractive flat roof style shed which will look handsome in your garden and is roomy enough to make it a good storage solution. It is home delivered with the floor and assembled for your convenience.